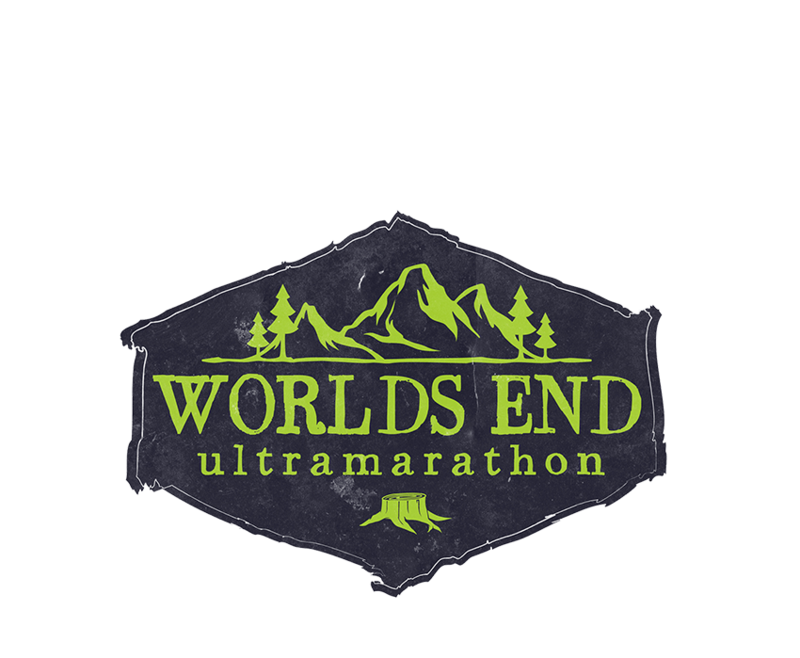 The Worlds End 100k is a 63.8 mile single loop trail ultramarathon on 95% single-track/double-track. The course has an elevation gain of 12,395 ft with a net elevation change of 24,790 ft. We support you with 12 aid stations and challenge you with a strict 19 hour cutoff. We have a reputation as one of the toughest, most scenic trail 100k’s in the country. 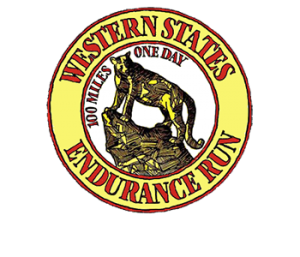 Honored to be a qualifying race for the Western States 100. Registration is first come, first served and there is a qualifying standard for the 100k race. 2019 Registration Date: December 1, 2018 (4PM). The difficulty of the terrain means this is NOT an entry-level race. Each potential participant will be reviewed by the race directors after we receive the completed registration. 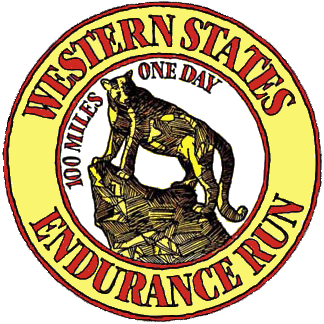 At a minimum, all participants must have completed at least one 50k trail race within the advertised cut-off time before signing up. This must be within 2 years of the registration date. If you have a race that is not a 50k but has a high degree of difficulty, it may be an exception to the above standard, just email us to find out if the race may qualify you. Be sure that your race is an official race with results published on a publicly available website. Timed races can not be used as a qualifying race. You must have completed a qualifying race before registering. We will refund 50% of your entry fee minus any processing fees until May 26th, 2018. Race registrations are not transferable to other participants or future races, and transferring between distances (up or down) is not allowed. Please consider these factors very carefully before registering. Please use your registration profile to request a refund. Below you will find the official elevation profile, course map, and aid station planner. Use the yellow buttons to view the PDF files of each document. You can download them to your computer and print them if you so choose to do so. If you would like to see a more interactive map of the course with an elevation profile, check out our map over at hellodrifter.com by Nick Knipe. Below is a list of lodging options near Worlds End State Park. This is not a comprehensive list, but rather a starting point of the closest ones to the race that we know of. Please do your own research to find what place would suit your needs best. If you're a cheapskate and would rather not pay for a place to stay, it's definitely worth looking into the free Loyalsock State Forest camping (see link below). Please do not overnight camp in the Worlds End State Park parking lots. 66 Keystone Mountain Park Rd. Below is a list of food options near Worlds End State Park. This is also not a comprehensive list, but rather a starting point of the closest ones to the race. Please do your research to find what eatery will suit your needs best! As it is in many ultramarathons, the Worlds End Ultramarathons has its own rules and practices. Please read carefully the race rules and warnings before the competition. No unofficial runners – No bandits (or unregistered pacers) allowed. No course cutting – Follow the marked course at all times – it will be clearly marked with orange survey ribbon (and with reflective tape after AS11), directional arrows, and the occasional orange ground flag. If you depart the marked course, you must return to the point of departure before continuing. Cutting the switchbacks is cheating, and leaving the beaten path to avoid mud or water is just bad trail karma – please don’t. Mandatory gear – A headlamp or similar lighting is mandatory if you are running in the dark. 100k runners will need a headlamp at the start of the race and if there is any chance that you’ll still be out there after 8:30pm, make sure you’re carrying a light or have it in a drop bag or with crew. Optional race aids – Hiking poles, headphones, GPS devices, heart rate monitors, and similar devices are allowed – but ONLY IF you use them safely and responsibly (so you are aware of what’s around you and not a danger to yourself or others). No unauthorized crew support or aid drops – Crew access and drop bags are allowed only at designated aid stations. No one is allowed to drop or store supplies along the race route, and runners are not allowed aid between checkpoints unless it is an emergency. Do not litter – You can either carry your trash or dispose of it at the aid stations. We are operating under permits from the Department of Conservation and Natural Resources and litter could threaten future permits. Anyone caught intentionally littering along the trail will be disqualified. Passing other trail users – The course uses many popular hiking trails and bridle (horse) trails, so please be respectful of all trail users and yield as needed. Be careful, courteous, patient, and safe while passing competitors or other trail users. Communicate your intentions clearly (“Passing on your left”), and remember that it’s a long run. When nature calls – Almost all the aid stations will have bathroom facilities, either a permanent structure or a port-a-john. If you have to pee, find a tree. Anything else, use the outhouse. Accountability – We’ll be tracking your progress around the course – it’s your responsibility to make sure your race bib is visible, and to check yourself (and your pacer) IN and OUT of each aid station (even if you are just passing through without stopping). The communications team at the aid station will record your arrival and departure, and relay your progress to race headquarters. Cut-off times – Aid station captains will strictly enforce the cut-off times that are posted for designated aid stations (see aid station planner). Aid station captains also have the authority to pull you from the course if it is clear that you are physically unable to continue in a safe manner. Their decisions are final, and if you refuse to vacate the course when directed, you’ll be disqualified. Dropping out of the race – If you can’t complete the race, you must notify an aid station captain and surrender your race bib, which will officially withdraw you from the race. If you leave the race and don’t show up at the next aid station within a reasonable time, we’ll assume you’re lost and will notify authorities. This could threaten the race’s future permits. Leaving a race without informing an aid station captain means automatic disqualification and restriction from entry in future races. Welcome spectators, family members, crews and pacers to the Worlds End Ultramarathon! We want to thank you for coming out and supporting the runners because we know how much it means to them! Please take some time to review this section as it contains some important logistic and safety information just for you. Pacers must register – Pacers must complete an emergency contact form and a waiver at the aid station they plan to start at. Please wear the pacer bib while on the course with your runner. Pacer starts – Pacers may enter the course only at AS7-High Knob, AS8-Dry Run, and AS10-Brunnerdale. One pacer at a time – Only one pacer per runner at a time (you may use multiple pacers, but only in series). No “muling” – Pacers are there for safety and moral encouragement – not to help carry your stuff (or you). They can help you at aid stations just as your crew would, but they aren’t allowed to carry water, food, or other supplies for you or physically assist you in any way out on the trail. They may run beside you or behind you, but not in front of you – this is your race, not theirs. Accountability – Pacers must check in and out with the aid station communication crew at each aid station just as the runners do. We’re just as concerned about their safety and accountability, so we need to know who is out on the course at any time. Pacers may use the aid stations – Pacers are free to use the aid stations they visit with their runner. Crew support only at designated aid stations – Your crew can help you in pretty much any way, but ONLY while you are checked in at the aid station – nowhere else along the race route. Crews are NOT PERMITTED at AS1-High Rock, AS3-Devil's Garden, AS6-Coal Mine, AS9-McCarty, or AS11-The Gate. One crew vehicle per runner – Parking is limited at many of the remote aid stations, and some of the access roads are narrow and dusty. It will be nicer – and safer – for everyone if there are fewer vehicles moving about. Aid Station flow – Aid stations can be busy places, and it’s important that runners have a clear route in and out, with easy and quick access to the station. Please find an out-of-the-way place (but within 50 yards of the station) for your crew activities so you don’t add to the congestion, and please obey the instructions of the Aid Station Captain – the station is their space and their responsibility. Crews that fail to follow the above race rules will result in their runners being disqualified from the race. Cell coverage and internet access is extremely limited at Worlds End and the surrounding area. Because of this, we provide hard copies of the participant guide at the race that include race rules, maps, directions and information to help navigate your way through the race. Even so, we still advise you to read through this information before race day so you are at least acquainted with the information. Crews and pacers must adhere to the information published and ultimately, the runner is responsible for all his or her crew and pacers actions on race day. Crews may only visit the aid stations that are crew accessible per the aid station planner. Please don't try to visit the other aid stations because they either have difficult access or extremely limited parking that needs to be utilized by aid station staff. Crew members should exercise extreme caution when driving between aid stations keeping in mind that many of the roads that you will be traveling on are narrow, remote, gravel roads – so please keep speed at or well below the posted speed limits and exercise extreme caution when approaching aid stations as these areas are where runners follow or cross the road. Crews should park in designated areas only and at the aid stations where there is no parking lot, PARK ON ONE SIDE OF THE ROAD ONLY. Never stop or unload in front of an aid station. RVs and motor-homes are not allowed at any of the aid stations due to the gravel roads leading to aid stations where cars will also be parked on one side of the road. Please park in the main parking lots at Worlds End State Park. Finish line food and refreshments are for registered runners only (and a pacer if you finish with one.) Crews and pacers are more than welcome to participate in the finish line celebration but please come prepared and bring your own food to the party. Results for both races will be posted by Falcon Timing when they have internet service. Runners will be tracked in and out of aid stations but there can be gaps, delays or omissions in this information – we consider this information as being there for “entertainment purposes only” and not considered official. Unless there is a legitimate fear that there is an emergency we will not query the specific location of your runner at the finish line on Saturday as we need to keep our communication channels open for emergency communications.